There are currently 10 parliamentary petitions online. Guidelines determining the validity of parliamentary petitions, some of which have garnered thousands of signatures, will be finalised in the “near future” but a date has not yet been set. There are currently 10 parliamentary petitions online, seven of which have been closed for signatures, including one calling for the protection of embryos, which has attracted more than 8,780 signatories. In February, a House Business Committee meeting was told that the committee had drafted a set of guidelines setting terms of reference on which the petitions filed by the public will be considered valid or not. Asked when these guidelines would be published, the Speaker’s Office said they were in the final stages of being drawn up and would be submitted to the Petitions Committee for its consideration. An initial draft had already been submitted to the committee and it will soon be providing them with a fine-tuned version, a spokesman said. Once reviewed and adopted, the guidelines will be published with immediate effect, he added. The guidelines that are being drawn up reflect the current provisions in the standing orders and others, such as those related to parliamentary questions which, among others, protect a person from being named. “These safeguards are also featured in the guidelines applicable to the petition system of the House of Commons. We are trying to tap into the vast experience of our UK colleagues but at the same time modifying them to suit our need,” the spokesman said. 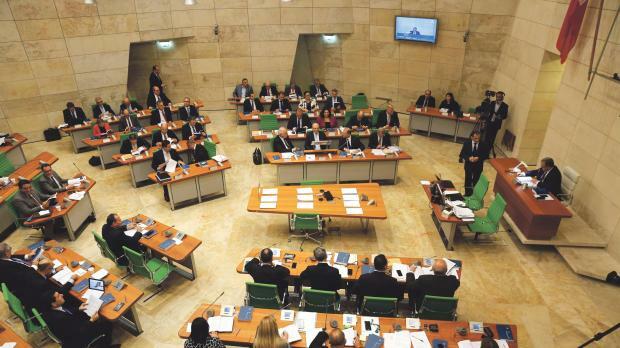 During a February meeting, Democratic Party MP Godfrey Farrugia questioned why the petitions committee had not processed any of the petitions presented during the current legislature. He told the Times of Malta that the delay in setting guidelines for the petitions had become a stumbling block. What happens to the petitions once they close for signatures? Every petition, whether presented by a member or a citizen, shall be discussed in the Standing Committee on Petitions. After the discussion, the committee decides whether the petition is referred to a Standing Committee or to a Select Committee, or whether a discussion should be held in the whole House. A petition could be referred to a ministry, department or authority. It could also be decided that no further action is taken on the petition or that the petition is laid on the Table of the House with or without comments by the Standing Committee on Petitions.